With the holidays quickly approaching I thought I would put together a list of some of my favorite space and STEM gift ideas for kids (the adult list will come later). You will notice while many of these gifts are items you can purchase, I included things that are activity based as well. It’s easy to get caught up in material goods, yet there are many things that money can’t buy, like mom and dad providing the tools to experiment and allowing kids to make a mess and spending time with your loved ones or donating to a space charity of your choice. Think outside the box this year or better yet outside our galaxy for gifts that will really make an impact. I know my favorite gifts have come without wrapping paper and a bow. I am thankful for that! Have you ever noticed how little kids can spend hours playing with boxes while their toys sit idly by? Imagination and exploration are not about packaging and toys. These qualities come because children are given the tools to explore and allowed to make a mess! One of my all time favorite gifts as a child was a home science experiment book and a bunch of materials such as beakers, test tubes and other lab “tools” that my mom ordered online. 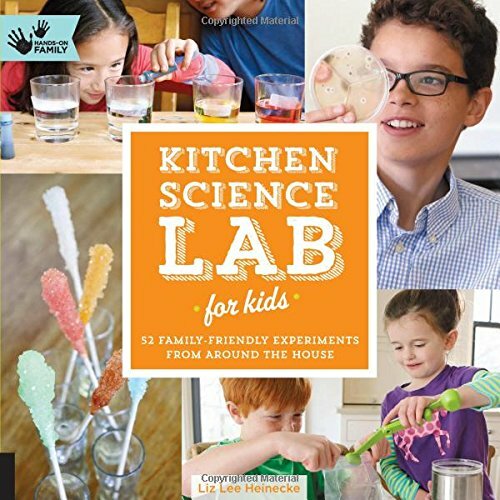 I was not fortunate enough to have the Kitchen Science Lab for Kids available to guide my experimentation. This book is really cool! I have personally done many of the experiments with the kids I babysit for. Check it out and make a homemade science kit to go with it (this link leads you to a sample homemade kit form the author of the book). And don’t forget to make some space in your kitchen for your kids to get messy! 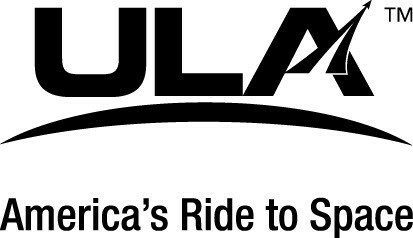 You can go to Amazon.com (click the link here and sign up for Amazing Smile and select Space STEM Future Inc. as your nonprofit – you will then give a portion of all your purchases to The Mars Generation) and search “Space Kids” or “Science Kids” for a list of wonderful space and science books for your kids. 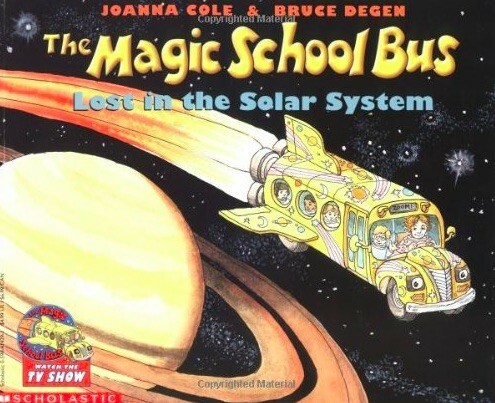 Today I am going to recommend one of my all time favorite book series – The Magic School Bus. A neighbor gave us a box full of these books and my mom spent hours reading them to me and my sister. As I got older I read them myself. I loved these books growing up and your kids will too! My mom started reading them to me when I was 3 years old and she still keeps copies on her bookshelf because she says this is one series of books she can’t let go of. Such found memories. One more mention is a new book that was published through Kickstarter by Andrew Rader called Epic Space Adventure. I did not get to enjoy this book as a child, but I have enjoyed it several times already as a young adult reading it to the kids I babysit for. Your kids will love it! 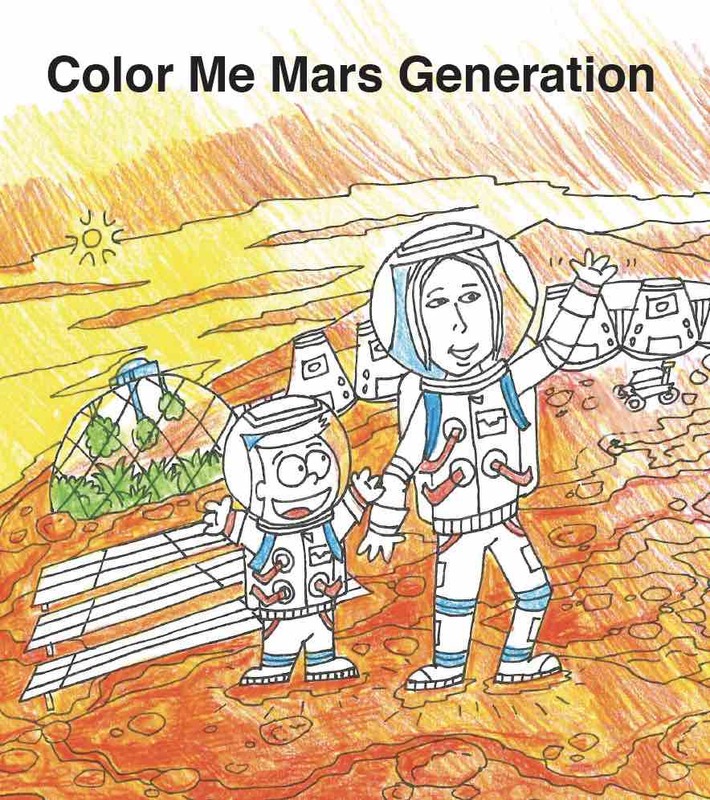 Andrew was kind enough to donate books to The Mars Generation and all proceeds go to support the nonprofit’s work. By purchasing this book you are also joining in to support the future of space exploration and encouraging that all kids dream big! It’s fun to unwrap presents that is for sure. But it’s also fun to get experiences. Growing up I received gifts of memberships to the Science Museum of Minnesota, The Children’s Museum and The Minnesota Zoo. I also received magazine subscriptions to National Geographic Explorer (which was my favorite kids science magazine) and others too. My uncle one year gave me a gift of taking me to a fancy dinner and a play – that was one of the most special gifts I have ever received. 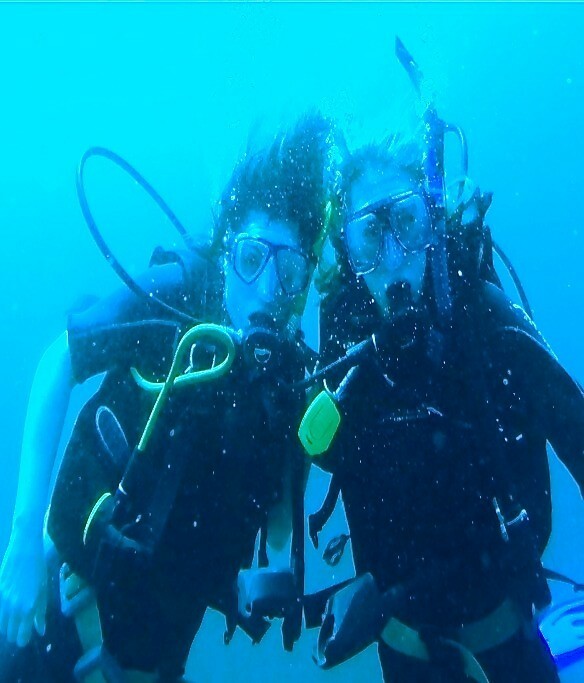 And then there was the year my mom got scuba certified with me. My point is that not all gifts get wrapped and put under the tree. Think outside the box and come up with gifts that have meaning and encourage your kids to explore the world around them. It’s easy to get caught up in giving and receiving gifts, but the best gift I have ever received was to give to others. While the holidays are a great time to volunteer time and energy to help others have a special holiday, there are opportunities throughout the year to give your time and money and make a difference. As a child growing up we volunteered for different programs every year from Toy for Tots to Meals on Wheels to smaller neighborhood events. My mom also worked for several nonprofits so as I grew older I volunteered to help run events. These experiences are some of my most memorable times. Look around your community and see what kind of opportunities exist that could give your kids a sense of how good it feels to give back. Incorporate this into your life whenever possible. But use the holidays as a catalyst. 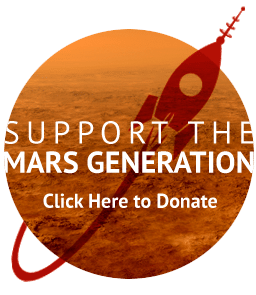 Joey – 12 years old decided that he wanted to raise $1500 for The Mars Generation Space Camp Scholarship Program to send one kid to Space Camp in 2016. 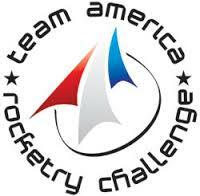 Joey was fortunate enough to attend Space Camp last summer and recognized that not all kids can afford to attend. He has raised over $400 so far and is currently selling TMG T-shirts to fund his efforts. Check out the T-shirts here and consider donating here to help him reach his goal. You can read his story here. 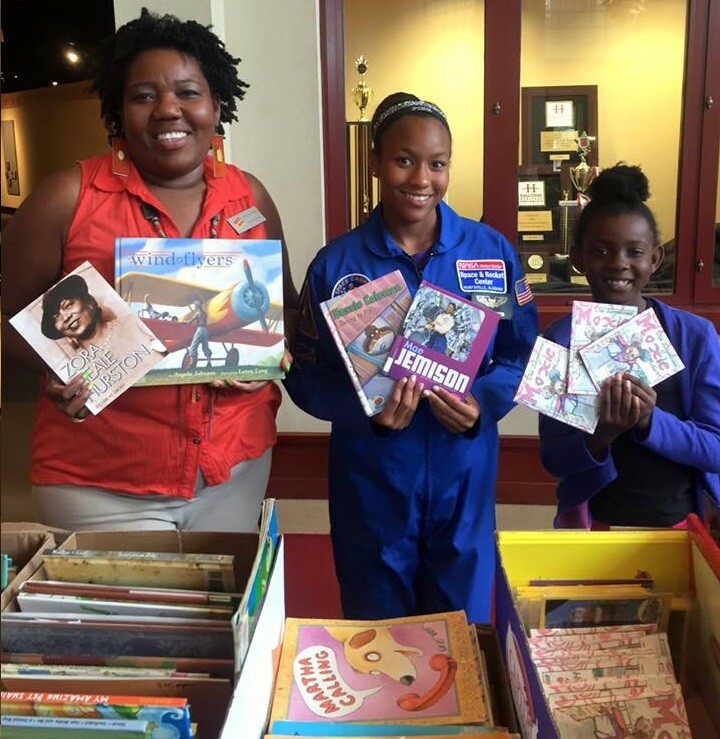 Taylor – 12 years old has run several book drives to make sure that every child has books of their own to read. Her latest book drive that happened a few weeks ago brought in 500 books which she gave away at a special event. Read Taylor’s story here. 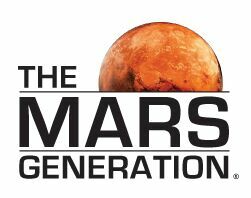 There are some great unique gifts available and all the proceeds will help support The Mars Generation’s programs. 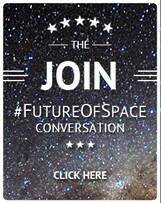 If you scroll to the bottom you will see donation links – you can donate to send a kid to space camp and also make automated monthly contributions if you would like. What are your most creative and favorite kid’s STEM and space gifts to give? 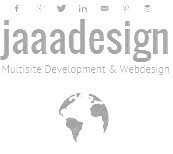 Please share your ideas below.